Premature babies are defying the odds at increasing rates. Baby Sebastian is one of them. 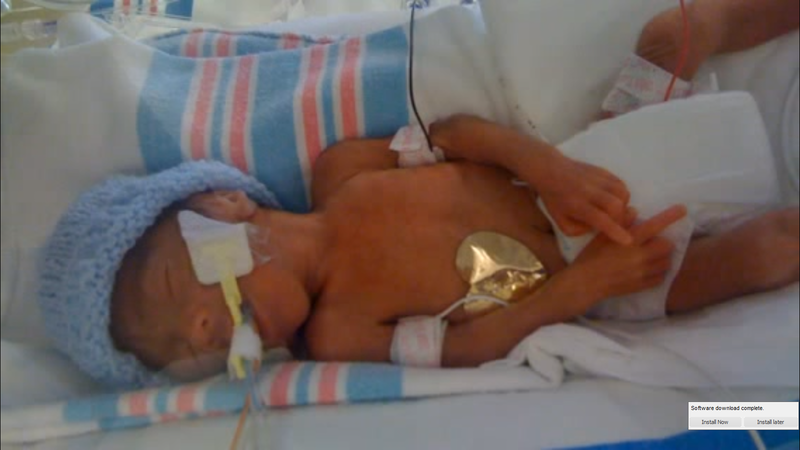 He was born during the second trimester of pregnancy at 24 weeks gestation weighing just 1 pound, 13 ounces, but he overcame every obstacle he faced. After his birth, Sebastian was wrapped in plastic to help keep his body temperature up. He also needed a ventilator to help him breathe and a feeding tube to help him grow. But he was a fighter. He even suffered temporary kidney failure, but today, at age six, he doesn’t have any lasting effects from his early birth. “He not only survived, but he lived without any long term physical problems that are normally caused by prematurity, such as… cerebral palsy, Necrotizing enterocolitis, retinopathy of Prematurity, hydrocephalus, and many other serious complications,” explained his parents in a YouTube post. 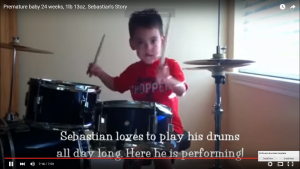 Baby Sebastian via YouTube video. Sebastian spent four and a half months in the Neonatal Intensive Care Unit and was finally able to go home two days before Christmas. 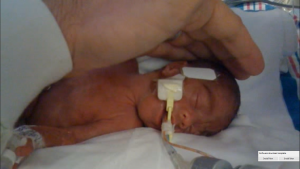 His parents made a video about his journey, not only to pay tribute to their son and the struggles he fought against, but to help other parents of premature babies maintain a sense of hope and faith. Babies Sebastian’s age and older are able to be legally killed by abortion. For those like Sebastian, still in the second trimester, it is often done by a procedure called Dilation and Evacuation in which the baby is suctioned out after his limbs are ripped off by a clamp. Babies older than Sebastian are aborted with a procedure that takes place over the course of a few days. The baby is injected with a toxin into the head or heart. Then, after two or three days of the dead baby being carried by the mother, labor is induced and the stillborn baby is born.